Geshe Potowa’s text continues: They don’t even seek the Dharma. They hope for the merit of the Dharma from their knowledge of the profane. Usually, when we talk about the two accumulations, there are the accumulations of merit and the accumulations of wisdom. But before we can perfect the accumulation of wisdom, we must first perfect the accumulation of merit. And in order to perfect the accumulation of merit, we need to put the eight worldly concerns of this life completely out of mind. We must give up on the eight worldly concerns of this life, or the mind that clings to the goodness and prosperity of this life. We must not be attached to any of the good things of this life. So then from the time that we develop a pure mind of non-attachment, whichever of the ten transcendences we might train in, we might be able to gain some freedom, or gain some control or independence in our practice. Non-attachment is the very beginning of the path for the dharma practitioner and it is for this reason that Geshe Potowa repeats the phrase “It is important to give up on this life” three times. Whether we are practicing profane or sacred dharma—profane, worldly dharma or the sacred True Dharma—is determined only by this, the Karmapa reflected. Potowa is quite clear that if we do not give up on this life, we are not a true dharma practitioner. Sadly, according to Potowa, it seems as if becoming a monastic makes the situation worse rather than better. The text reads: Before we start to practice Dharma, none of us practitioners have much attachment to wealth and things, and we seldom yearn for those close to us. We do not want to pay attention to work or tasks. But once someone enters the Dharma, they make profane ambitions the most important. One enters the gate of dharma and takes monastic vows. The other doesn’t and does worldly work instead. But the one who became a monastic and lives in the monastery becomes the one who “makes profane ambitions,” who makes the worldliest plans for this life, and the one who always gives the most advice and help. They show up everywhere. If there is some worldly task that needs one to go into detail, they say, “You should give this much. You should give them that thing but not that. You should give this or that. Even if they don’t know how to do anything else, at the very least, they’ll pass messages back and forth about work or news. And if someone needs to be sent as a representative, to make a connection, to make a contact and so forth, it’s always them who are the one to do it. So, ultimately, the monastic has more experience of and knows more about worldly affairs than his brother the householder! At the root of this confusion, Geshe Potowa points out, lies the failure to remember that they will die: When made to practice the Dharma, what they think of is riches. They only do what they are not forced to do. This is because of not remembering death. If we are able to practice true dharma, even our enemies—like our real antagonists, people who dislike us from the core of their beings, the true enemies—even they will begin to think, “Oh that’s a real dharma practitioner.” They’ll think, “Oh that’s a really good person.” Even they, in their own minds, will begin to see us as an agreeable person. 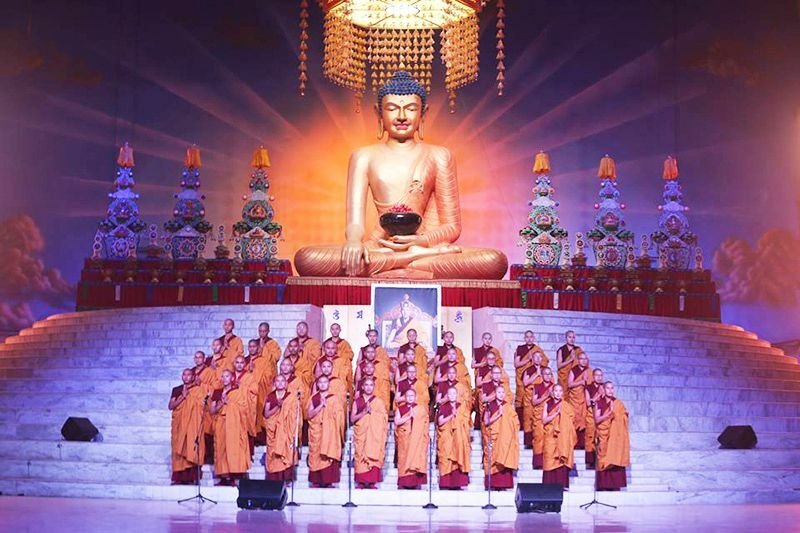 Geshe Potowa elicits the benefits of practising the pure dharma sincerely as: receiving the blessings of the buddhas and bodhisattvas; fulfilling the intentions and wishes of the gurus and spiritual friends and pleasing them; being helped and supported by the gods and dharma protectors in whatever task or activity we are doing. “May my mind become the dharma,” His Holiness quoted, from the Four Dharmas of Gampopa. In order to achieve this, he continued, we need to develop the realisation of death and impermanence in our beings and revulsion towards this life. Only if this could happen, would our minds become the dharma. Usually, when talking about the paths of the three types of individual, we talk about the path of the lesser type of individual, who, out of fear of the lower realms, seeks the pleasures of the higher realms in the next life. At the very least, we absolutely must be someone who thinks about our next and future lives. And if that occurs, only then can we be included or counted as a dharma practitioner. Our mind needs to be free of any clinging to this life, otherwise our mind will not become the dharma. When we are stricken with a fatal illness and know we will not escape, it is too late to say, “I am not destined to die like this. I have something better to do than this. If this old ghost doesn’t die, I really will genuinely practice the Dharma. We are wandering in samsara but have the opportunity to awaken to buddhahood. This brief life will definitely run out. Therefore we must give up on this life and genuinely practice the Dharma. We should practice the dharma now while we have the opportunity, and not procrastinate. 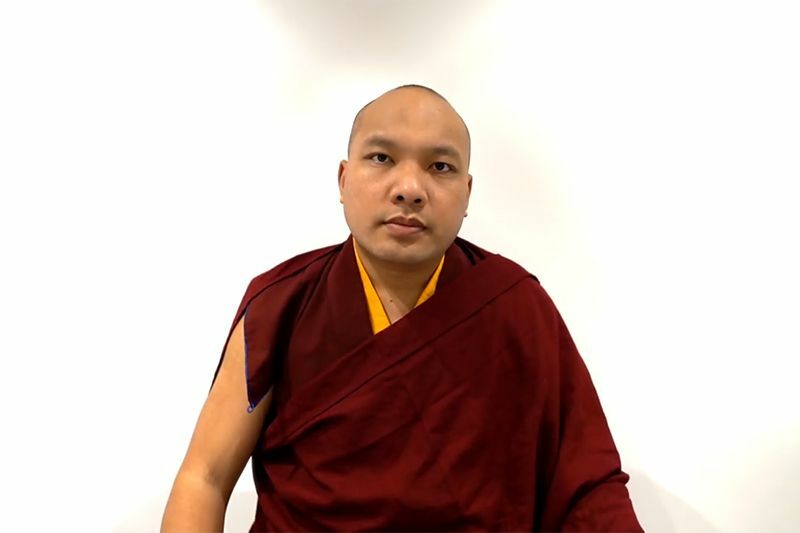 Dharma practitioners should have no regret at the time of death, knowing that they have used their precious human life meaningfully, the Karmapa commented. Geshe Potowa frequently draws our attention to death and impermanence, because, based on his own experience, he knows the value of contemplating them. It is far more than generating a fear of death. Rather, it is realising that we will die, acknowledging that we do not know when we will die, and consequently seizing the time now to make our lives meaningful, to accomplish whatever our goal in life is. At a more subtle level, it is the realisation that all compounded phenomena change and die, and that this process is happening moment-by-moment, now. Nothing stays the same. Our human life too changes moment-by- moment. “For that reason, in every minute, every hour, every day, every week, every month we always get a new chance. We are always getting new chances. 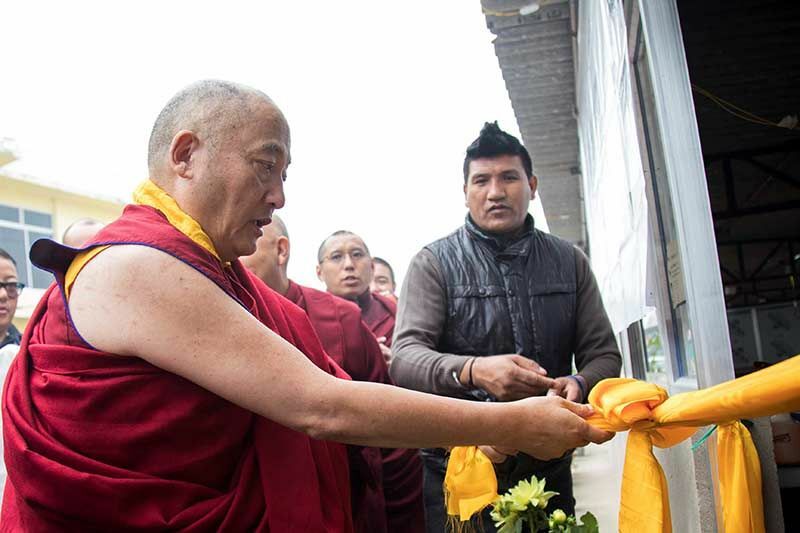 As we get each new chance, we must not let those opportunities go to waste,” His Holiness urged. From one perspective, in the past in this life, we have had faults, we have made mistakes, we have not fulfilled our wishes, but that is all in the past. But now, a moment later, an hour later, we get a new chance. Because we do get a new chance, it is important that we clearly recognize that new opportunity, and then use it to make ourselves into a new person and give birth to a new human life. It is important for us to develop this new prajna, this new understanding. If we can do that, only then will we feel the great benefits or the great power that comes from meditating on death and impermanence. This is the reason why Geshe Potowa reminds us repeatedly that meditating on death and impermanence is important. Even though I do not think it will help anyone else, I could not help but say this to myself. If this was not from the heart, punish me. This was Guru Potowa’s Long Soliloquy, the ultimate evidence of practicing the Dharma. By the power of the virtue from this teaching, may all sentient beings throughout space progress down the path from happiness to happiness, and may the precious teachings of the completely perfect Bhagavan Buddha flourish without ever waning. May the great beings who uphold the teachings, in particular, the Dalai Lama who is like the eye and heart of all Tibetans, live long and may all his activities be spontaneously fulfilled. May all great beings in all the dharma lineages, as illustrated by the four great lineages of Tibetan Buddhism, may all these great beings live long and be harmonious. 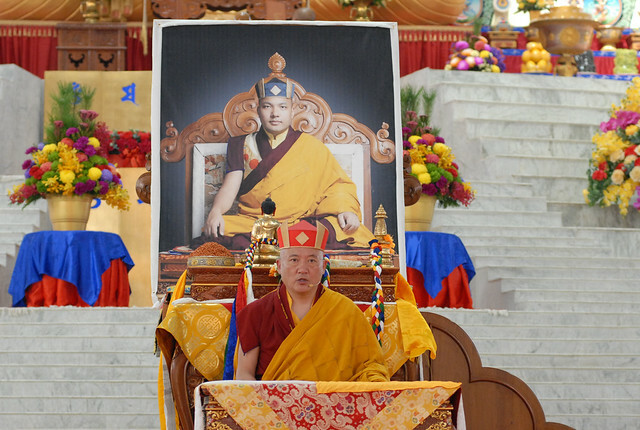 In particular, may the teachings of the Dakpo Kagyu flourish and may the Karma Kamtsang lineage, founded by the glorious Dusum Khyenpa, thrive and flourish a long time. 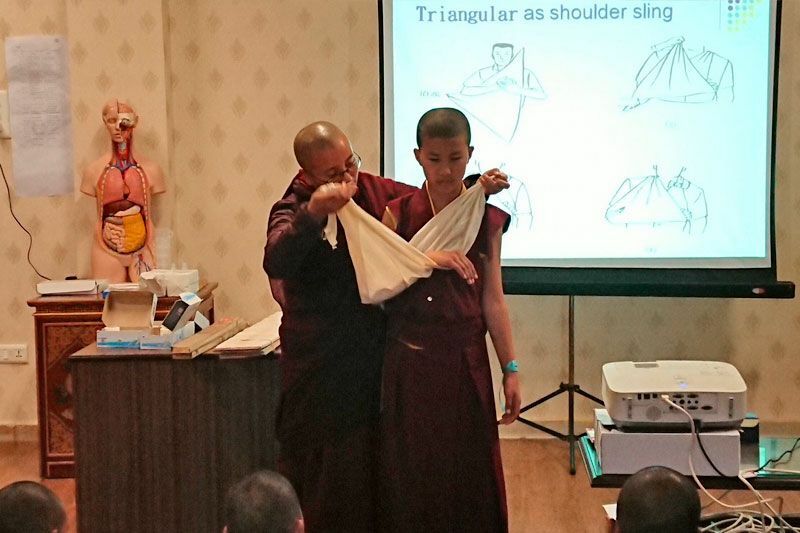 May all the communities of the Sangha have pure discipline and be harmonious. In particular, may all sentient beings with whom we have connections be cared for lovingly and compassionately by the buddhas and bodhisattvas in the short term as well as in the long term, and may they swiftly achieve the state of liberation and omniscience. 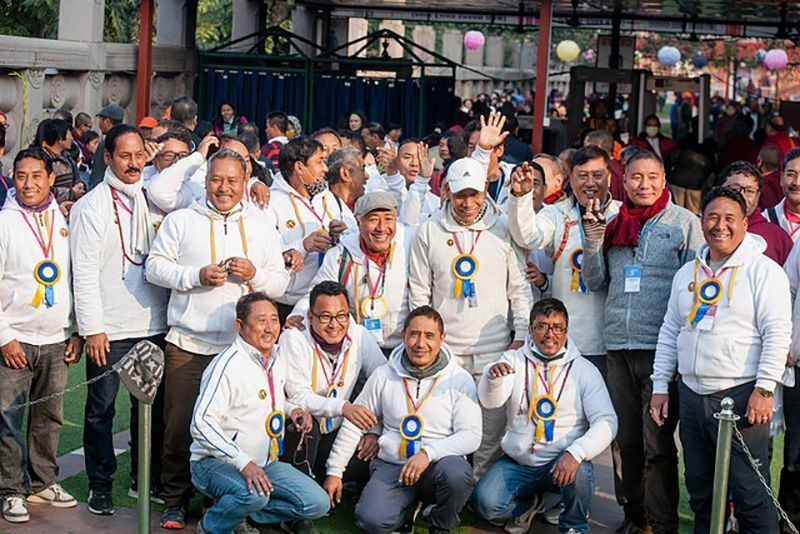 This is the dedication I am making, and I’d like to ask that all of you, the entire sangha, offer your support and assistance, by making the same aspiration. His Holiness had not been physically present, yet to those watching and listening in the Monlam Pavillion, it felt as if he were present, and the directness and power in the teachings he gave were unaffected by the distance.